ABU DHABI: The first day of the historic visit by Pope Francis to the Arabian Peninsula ended with the signing of a “Human Fraternity Document” by the leader of the Roman Catholic Church and one of the highest authorities in Islam, Sheikh Ahmed Al-Tayeb, grand imam of Al-Azhar Mosque. The declaration of fraternity — which pledges the religious leaders to work together in perpetuity and to reject violence and radicalism — was also signed by Sheikh Mohammed bin Rashid Al-Maktoum, prime minister of the UAE, which hosted the ceremony in its capital Abu Dhabi. 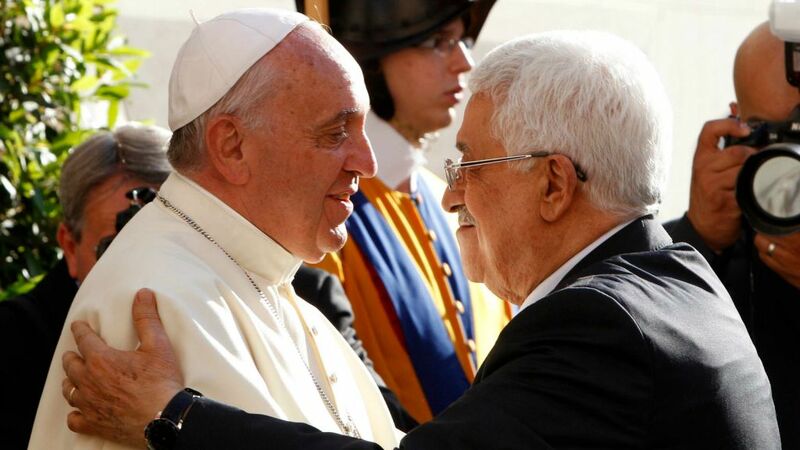 Pope Francis follows pontiffs before him in trying to get control of Jerusalem and will use any means, including embracing Islamic leaders to do so. “President Donald Trump’s decision to move the US Embassy in Israel to Jerusalem was rash and uncalculated and represented aggression towards people, countries, cultures and civilizations. We think of Jerusalem as an occupied city and not a Jewish city. It is 100% Arab under Israeli occupation”. Both religious leaders appear to have a similar goal – to keep Jerusalem out of Jewish control, which lines up perfectly with the final wars of this age.